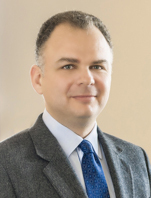 Christoforos is a Partner at Watson Farley & Williams London working out of the firm's Hong Kong office. His practice focuses on all types of cross-border asset financings, project financings, loan restructurings, work-outs and enforcement. His clients include leading banks in the shipping sector, Chinese financial leasing companies and well-known shipping companies. Christoforos has a wealth of experience advising ship finance deals involving Asia and Greece and he is well known for his expertise in the Chinese leasing space. Christoforos has led on several high profile landscape changing ship finance deals such as, recently CSIC Leasing's first ever sale and lease back transaction with Eletson Group. Additionally, Christoforos has also advised on various shipping projects including and lease/trust arrangements for vessel fleets. Christoforos regularly speaks on various financing topics at well-known shipping and trade conferences.